This Opportunity is ONLY for the registered Scouts* that qualified by selling the prescribed $650 in popcorn. *NOTE: Siblings (to those Scouts who qualified only) may come and jump, but will be charged $15 per sibling to do so (cash or checks will be accepted). The most important item is that each jumper has a signed printable waiver before they jump. The waiver can be printed off the website at http://www.dojoboom.com/ and is also sent email to you. Guests without a waiver will not be allowed to jump. Printable waivers expedite the group check-in process. Please arrive promptly by 8:30 A.M. to ensure a great time had by all and for a few VERY IMPORTANT recognitions. 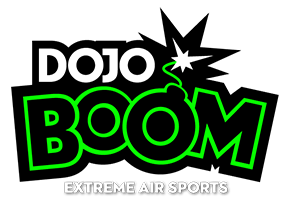 Unless you will be a paying customer at DojoBoom during regular business hours, all participants are asked to depart immediately after the celebration concludes at 10:30 a.m.
We look forward to recognizing our Scouts who learned to set a goal and achieve.